This view is from northbound BUSINESS US 17 in the Deep Creek area of Chesapeake. 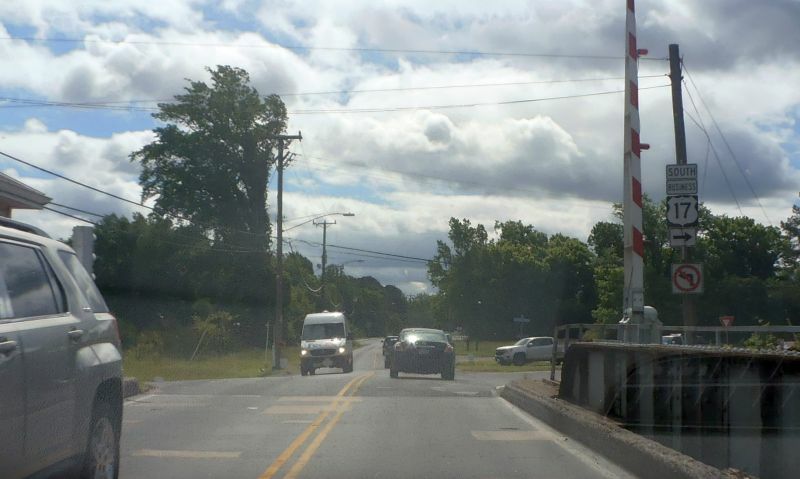 VA 165 begins to the right. 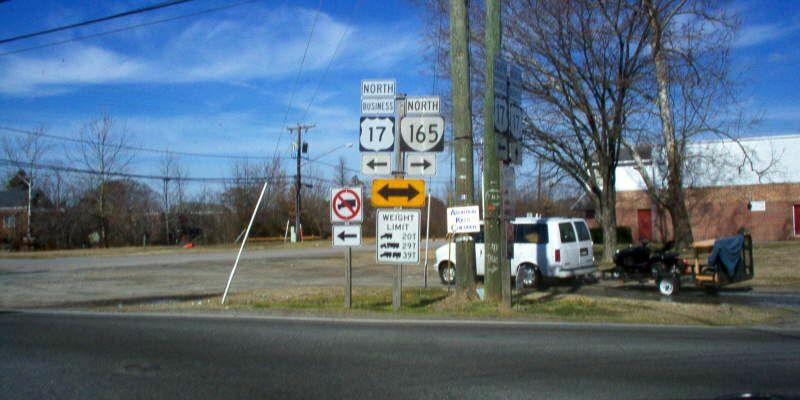 VA 165 has ended here since 1965. Photo by Mapmikey. 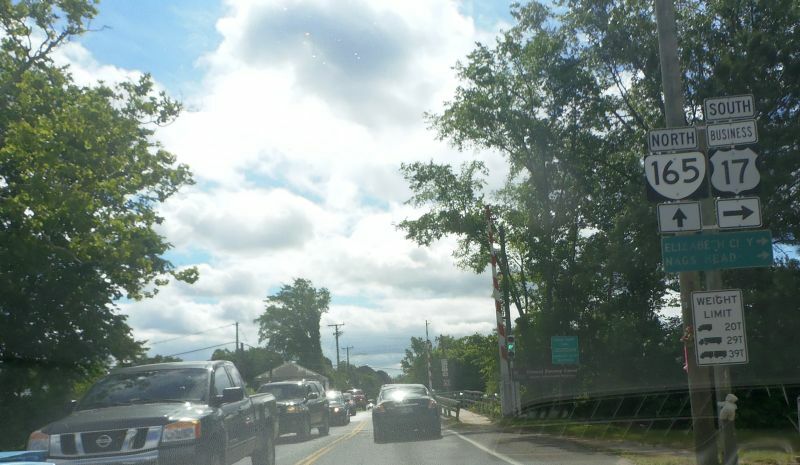 This view is from VA 165 reaching US 17 Business. Photo by Mapmikey, taken July 17, 2007. US 17 Business south approaching VA 165. Photo by Mapmikey, taken May 6, 2017. 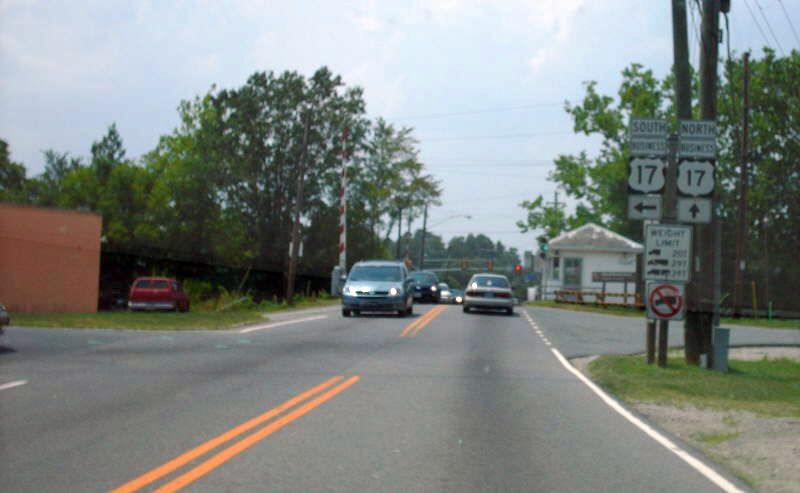 US 17 Business south at VA 165. Photo by Mapmikey, taken May 6, 2017. VA 337 east at VA 165 Little Creek Rd. The next intersection is VA 406 Terminal Blvd. VA 165 has ended here since 1944. Photo by Mapmikey, taken March 22, 2014. VA 337 west at VA 165 Little Creek Rd. From this direction is one of those hideous Norfolk postings. Photo by Mapmikey, taken May 6, 2017.